Research shows that only about one-third of all start-up ventures in the US are still in existence ten years after inception. However, interestingly the average return from entrepreneurship is still high enough for more and more start up projects to emerge. What are the key success factors that differentiate the successful ventures from those that fail? Discovery Driven Planning: Generally past performance is used to plan for the future by existing companies. However, if you are an entrepreneur with a completely novel idea and looking to get started, there is no past data so the approach to planning you use is discovery driven. This approach is a bit like walking in a field with thorns and roses scattered randomly. Each step you take guides you to the next based on the response you get from the marketing field. So you take small steps and learn along the way. Track and Refine: The winners in the game of entrepreneurship are able to develop a marketing mix that is just right for their target audience. You can use various tools to do this. For example, you can use call tracking to determine which of your marketing sources generate the most productive leads. In this way you can optimize your marketing budget by focusing on channels that get you the highest Return on Investment (ROI). Optimism: One of the key characteristics of successful entrepreneurs is that they are optimistic. Not only are they positive thinkers themselves but they are able to infuse this spirit of optimism in their team. Keeping your team enthusiastic and energetic is critical for long-term business success. The good news is that optimism is a trait that can be developed and nurtured. Practicality: Entrepreneurship is about creating value for the customer by identifying a real problem and then solving that problem. However, the price that the customer is willing to pay for your solution needs to be less than what it will costs you to deliver the solution. When calculating your cost, you need to account for opportunity cost as well. Opportunity cost is the cost of the next best alternative. For example, if a teacher starts a day-care center then the opportunity cost will include the teacher’s last salary as well as the value of the additional time required to start the business. Passion: When selecting a project, it is important to ensure that you are passionate about it. Getting to know yourself helps you capitalize on your strengths and work around your weaknesses. Persistence: Another quality that you need to nurture in yourself to become a successful entrepreneur is persistence. No matter how hard you plan there will always be exogenous factors that have a negative impact on your business. Coming to terms with this adversity and the ability to keep going is what differentiates the winners from the losers and the quitters. Creative Time: Companies that value managerial entrepreneurship and innovation give their employees dedicated paid time for creative thinking. For example, you could have a company policy whereby everyone spends 15%of their business day purely on creative thinking work. The purpose of this policy is to infuse the spirit of entrepreneurship in your entire team. Customers as Partners: The best ideas for innovation can come from your customers. The challenge is to reward the customers appropriately for encouraging fresh ideas. Threadless was a company that pioneered this approach. It started holding contests for T-Shirt designs and then selected the best designs for producing and selling online. The advantage of this was that Threadless was able to source ideas from people all over the world. Hence, the diversity and creativity was far greater than what could have been achieved through an in-house design team. Other companies such as DELL and Starbucks also use crowdsourcing to generate and implement ideas submitted by customers. Put your eggs in different baskets: It is a good idea to have a bag full of ideas for testing when you start your entrepreneurship career. Starting on a small scale and testing the market may reveal that your idea, although great needs to be aborted due to exogenous factors. In this case, if you have a few back-up ideas you can quickly turn to the next best idea for launching. Team Building: Last, but not least, is putting together the right team for implementing your idea. No matter how wonderful your idea, you need to have people who share your vision and passion and are able to translate your dream into a reality. All in all, entrepreneurship is about the right idea executed by the right team for the right market. 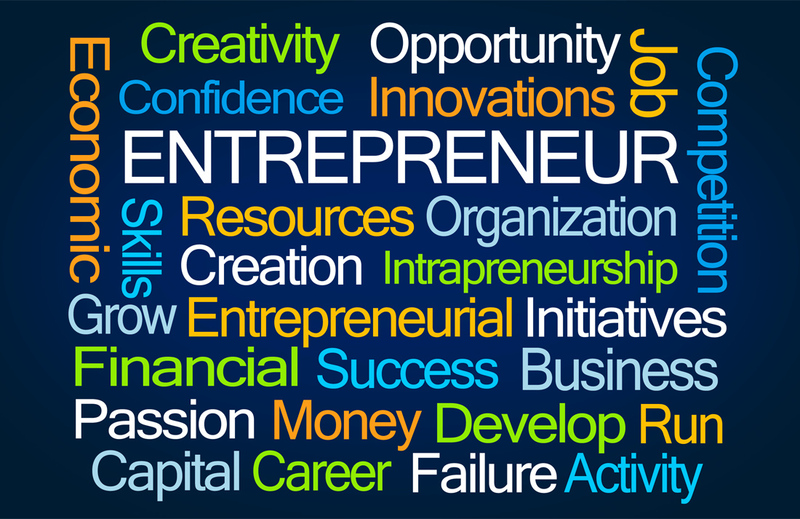 Keeping the above tips in mind will ensure smooth sailing on the turbulent path of entrepreneurship.